A 10x20” framed advertisement featuring a B&W photo of Willie Mays and a bottle of Alaga syrup with waffles. 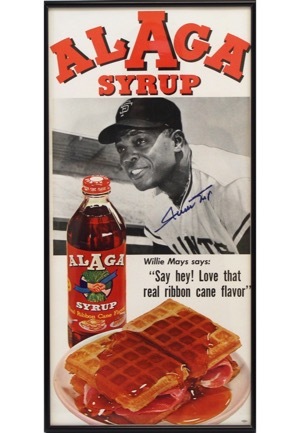 The piece reads “Willie Mays says: Say hey! Love that real ribbon cane flavor”. 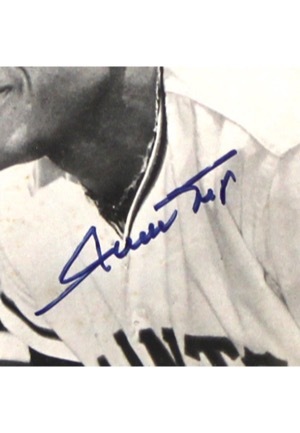 Mays signed the piece in the middle on his picture in blue marker and in our opinion the signature rates a near 9. Accompanied by a LOA from JSA.